NORB (Nutri-Orb) PREMIUM INDOOR LED GROW LIGHT with Natural WHITE Spectrum-for healthy normal-looking plants. LOW HEAT LED GROW LIGHT: UL tested, meets U.S. standard for unshaded bulbs. Norb® (Nutri-Orb) is a specialized White-Light grow plant bulb that provides the right spectrum for growing plants. With Norb® LED plant lights, the plants can be healthy and look normal under white light (instead of an unnatural pink or purple glow typical of other red and blue LED lights). This unique Norb grow light bulb for plants was designed to help ensure that your plants thrive and grow in a healthy manner. Plants are a lot like people and pets; they need proper nutrition to thrive, and the Norb Botanic is proven to provide the light-nutrition that plants need. Compared to cheap substitutes, Norb plant grow light is guaranteed for 3 years, with an expected life up to 7 years. Made with high quality materials, Norb offers bright light (1300 Lumens) with low energy use (16 watts) and low heat, keeping you and your plants cool and looking natural and normal in white colored light. Developed by the makers of LiveWall, the living wall system that works, in response to a need for an energy-efficient light source that supports plant growth and that looks white to the human eye. For vertical garden applications, use track lighting to mount indoor garden grow lights. Long Lasting: Expected to last 7 years, running 14 hours per day. UNIQUELY WHITE | Provides the Light Nutrition that plants need with WHITE, not pink or purple spectrum, so your plants and your home or office will look normal -- not like a circus funhouse or marijuana farm. POWERFUL LONG LASTING INDOOR GROW LIGHT | Full 16 LED Watts, expected to last 7 years at 14 hours per day run time (3 year warranty). LOW COST GROW LIGHT | Estimated annual cost only $8.99 when run for 14 hours per day. INDOOR HERB GROWING | Horticulturalist proven for growing herbs indoors. 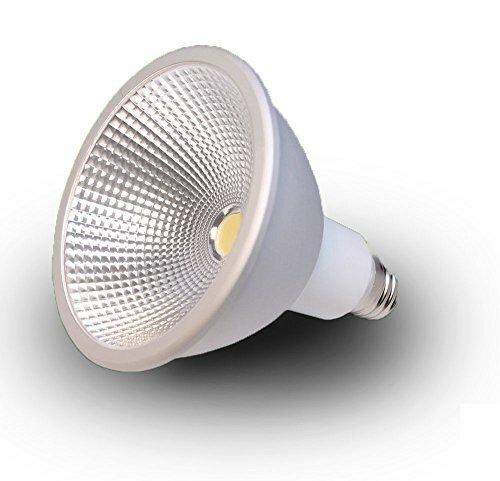 VERSATILE HIGH QUALITY GROW BULB | Fits standard sockets and conventional track lighting. View More In Growing Light Bulbs. If you have any questions about this product by Norb, contact us by completing and submitting the form below. If you are looking for a specif part number, please include it with your message.